As a result of pool resurfacing it will turn an eyesore into an asset and brighten up your backyard. 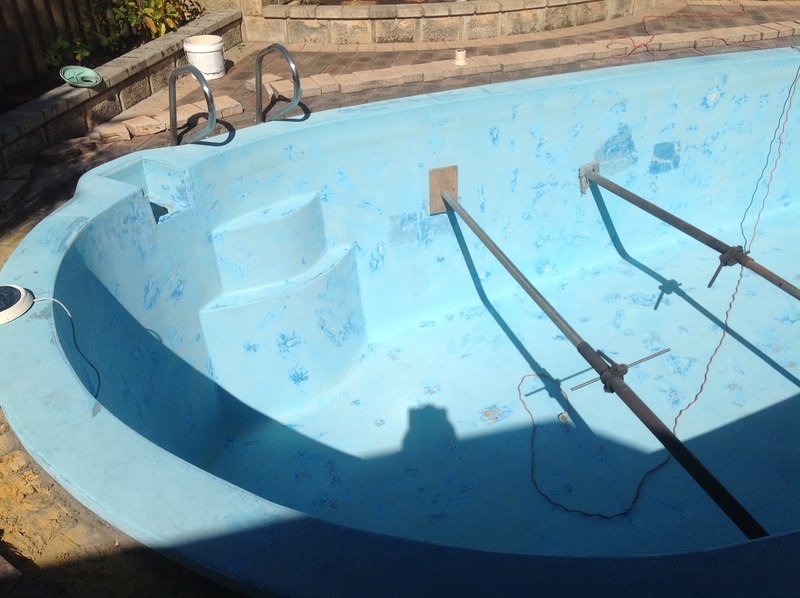 Pool renovations with ecoFINISH is a cutting edge, flexible solution that takes the hassle out of restoring concrete and fibreglass swimming pools. An ecoFINISH coated swimming pool can also reduce maintenance time and costs as water chemistry is easier to balance and can use up to 40% less in annual chemical consumption. 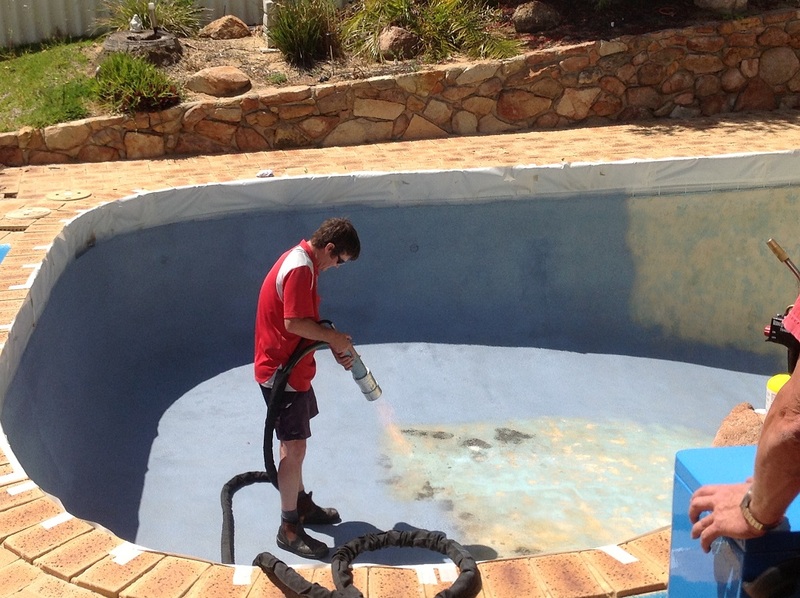 If your pool surface is cracking, fading, blotchy, or just in need of rejuvenation, customers can get in touch with one of our expert aquaFINISH installers or contact EcoFinish on 08 9408 0955. Firstly the pool is emptied and props are positioned into place. The props help prevent the pool from collapsing inwards while the pressure from the water is removed. The pool surface is then cleaned and rubbed back, and necessary repairs are made to chipped or cracked gel coat. Once the surface is prepared two coats of a special X40 epoxy basecoat designed for use with the aquaBRIGHT coating is applied. Two coats of aquaBRIGHT are applied using our unique thermal applicator. The pool is refilled and the props are removed; finally, all that’s left is to balance the water and you’re ready to go! Firstly the pool is completely drained. The pool surface is inspected and as a result, repairs are made to any drummy (hollow) patches that are found. The pool surface is then cleaned and acid etched to prepare it for resurfacing. We then apply two coats of aquaBRIGHT using our unique thermal applicator. The pool is refilled and finally, we balance the water and you’re ready to go!